Are you finding it difficult to get your child’s attention? 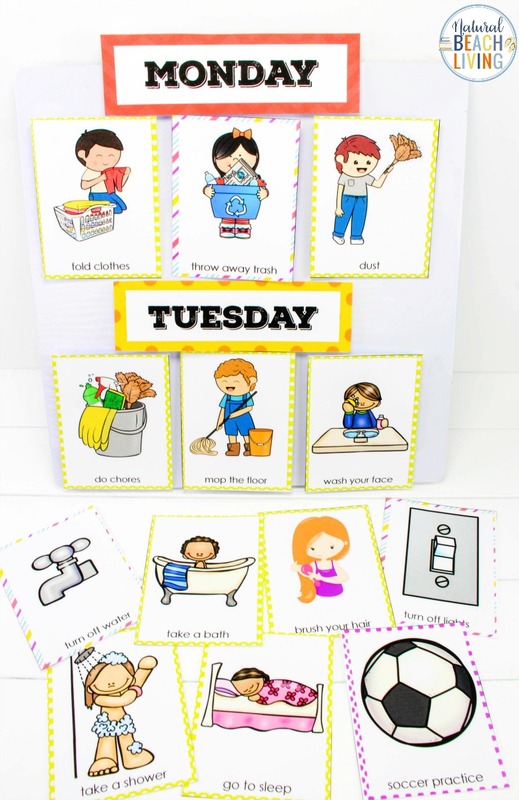 Maybe you have children multiple ages and need help keeping them (and you) organized to stay on task? 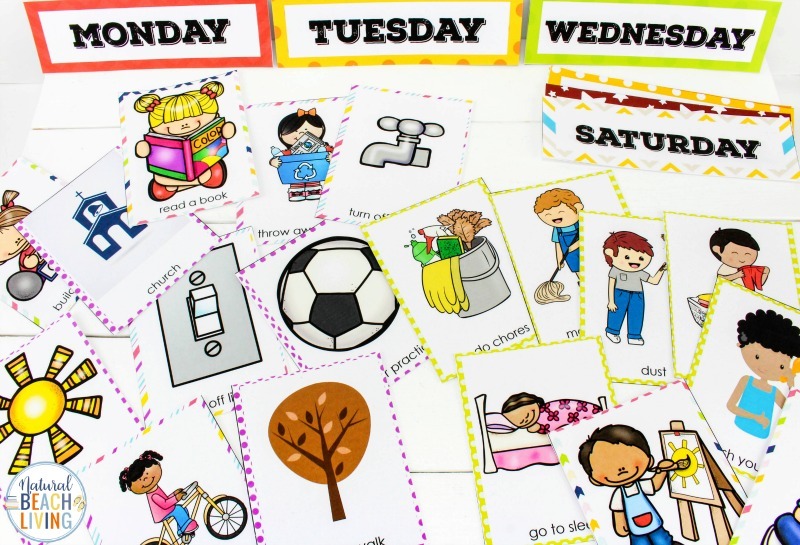 This Visual Schedule Printable Bundle is the most helpful tool for every child to use. 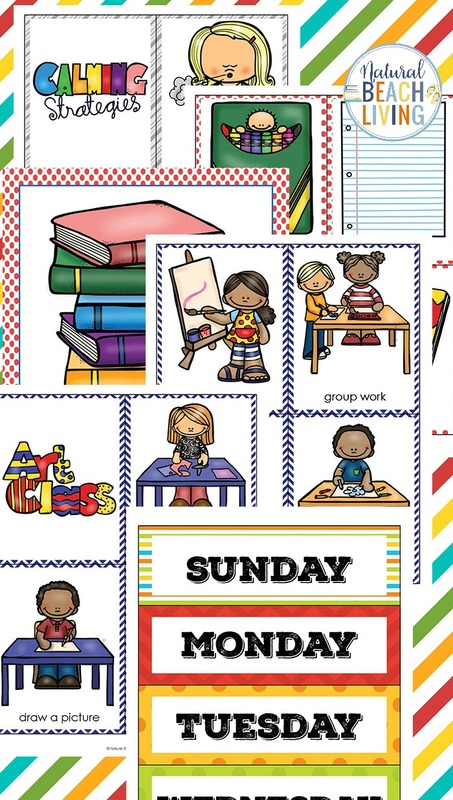 We have Two Versions an Editable Set and a Love it Like it is Set. 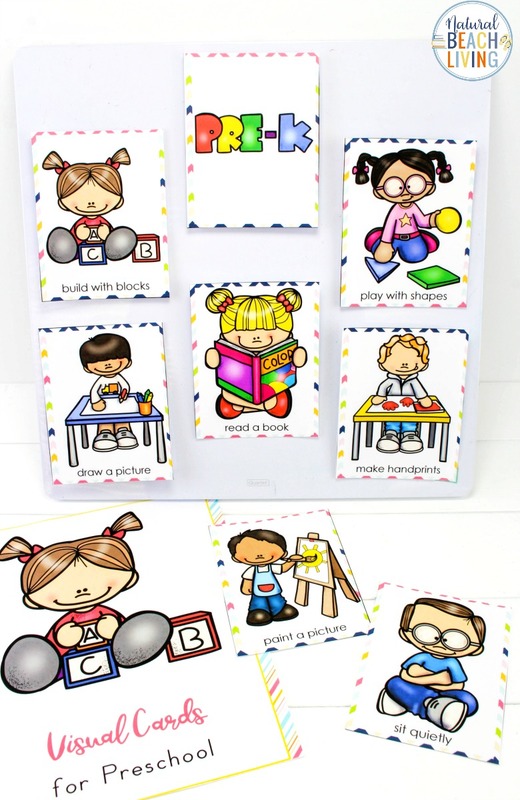 Knowing what comes next helps your child become more engaged in an activity that they are doing. 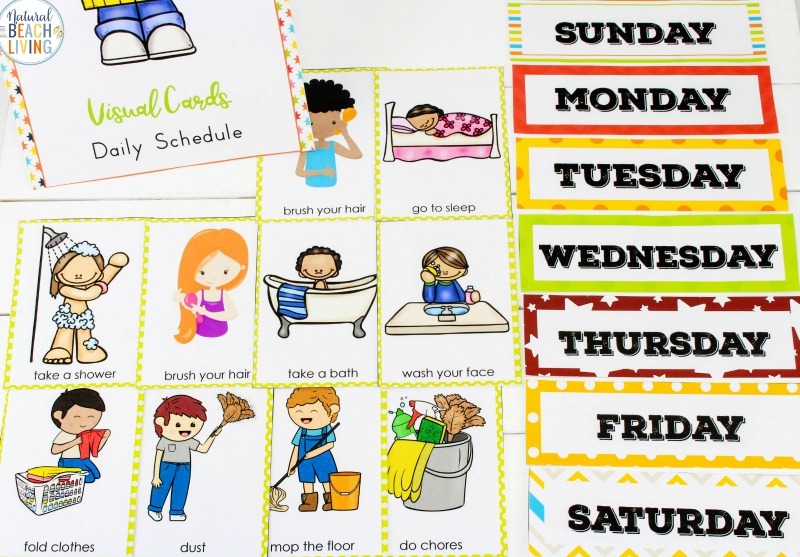 This Visual Schedule Printable will help with Behavior Management. 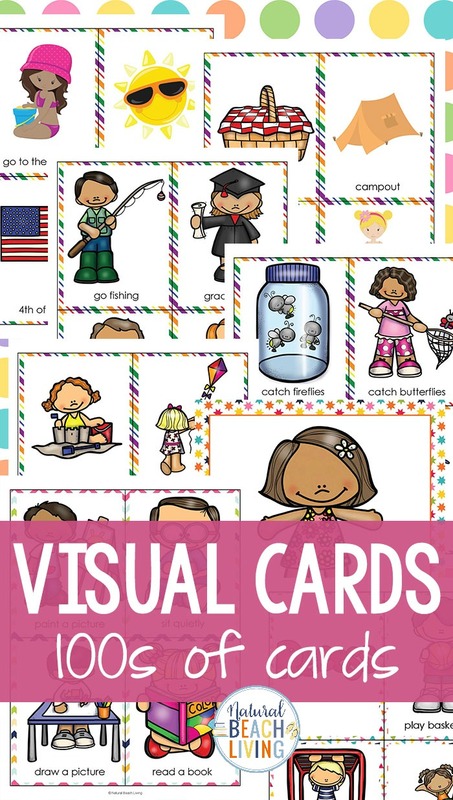 Plus, if you are working with a child that has a short attention span visual schedules can be what your child needs to feel comfortable knowing what comes next and when. It also helps the rest of the family or classroom know what the routine is. 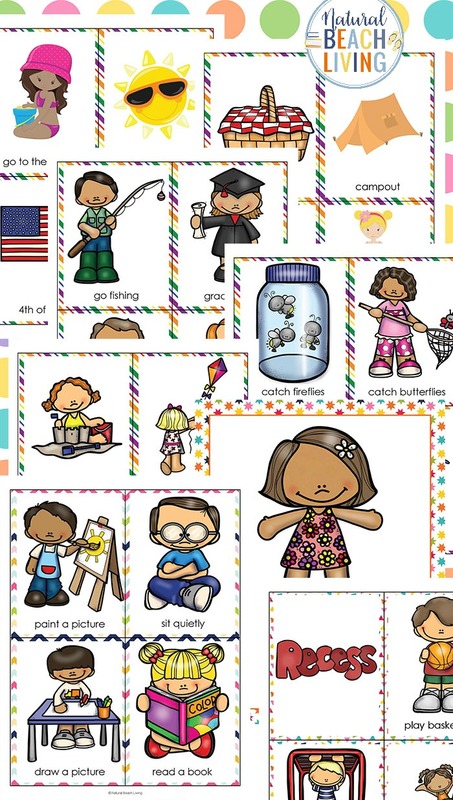 If you have a toddler or nonverbal autistic child this picture schedule can help acquire language. 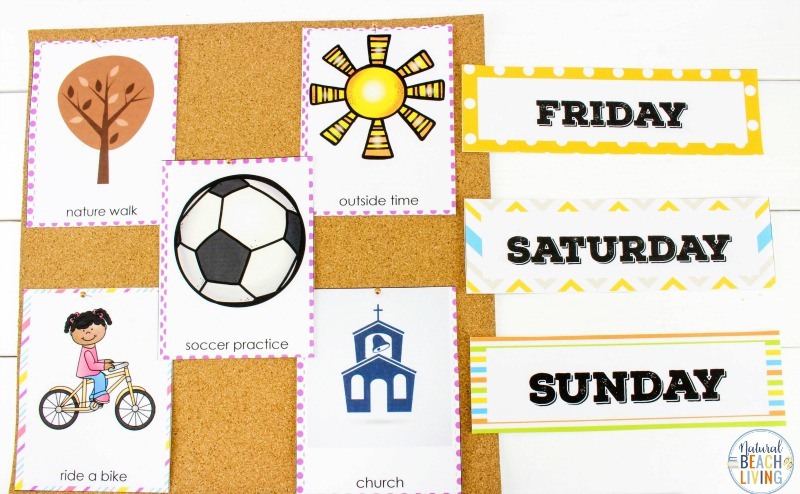 If you know that hands-on activities are great for kids but they aren’t really your thing, these visual schedule printables will help you to utilize hands-on activities to gain the most ground and expand your child’s knowledge. This picture schedule will help your children or students understand what’s happening through their day. You can use the ready-to-go picture schedule or purchase the editable version to edit the text to the wording you like. 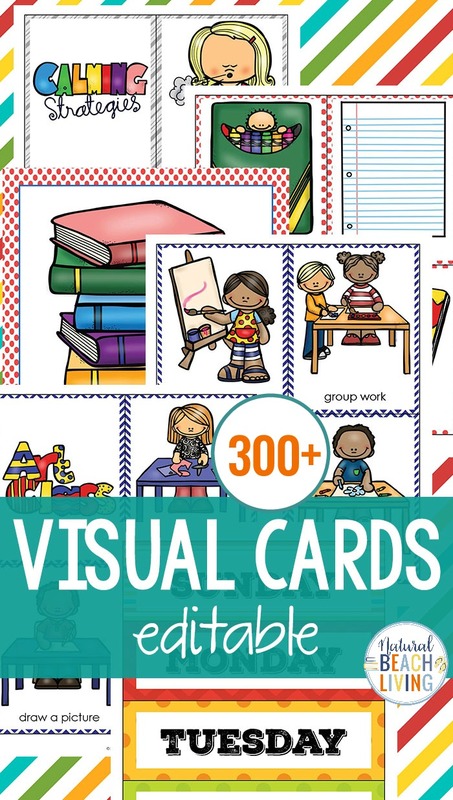 If you are looking for a smaller Visual Schedule CLICK HERE for a Super cute set that is 180 Cards. Natural Beach Living is packed with activities and ways to encourage families to play, learn and celebrate childhood! 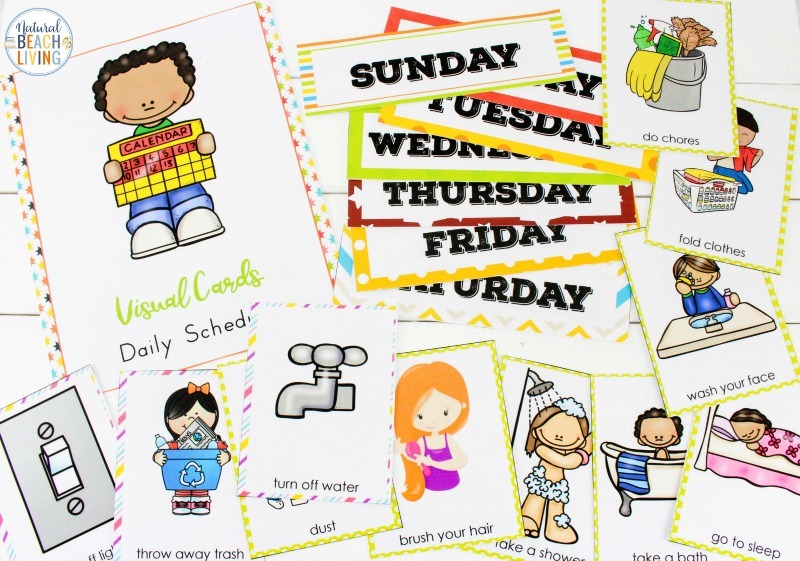 I’m Kimberly; former teacher turned homeschooling mom. I have five children that love to get their hands dirty, build, create, read, and explore. That is how our love for natural living and hands-on learning started.